'NEW-OLD' revived for the day!!! 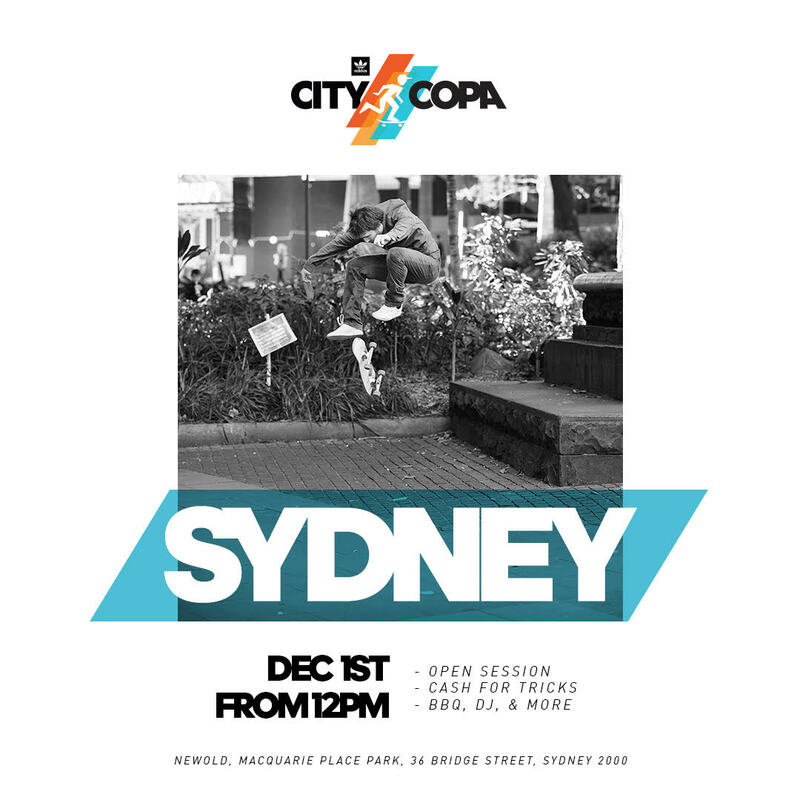 adidas Skateboarding announces City Copa Sydney following a run of global events this year in Los Angeles, Paris, New York City and Shanghai the Sydney event will take place at the iconic skate spot ‘NEWOLD’ located in the heart of the city. adidas Skateboarding invites you to join the session as they revive the much loved 90s skate spot to its former glory. The day will include an open skate session with custom built street obstacles and a cash pool prize of $2,500 up for grabs for best tricks on the day. Shin Sanbongi, Hiroki Muraoka and Kento Yoshioka.